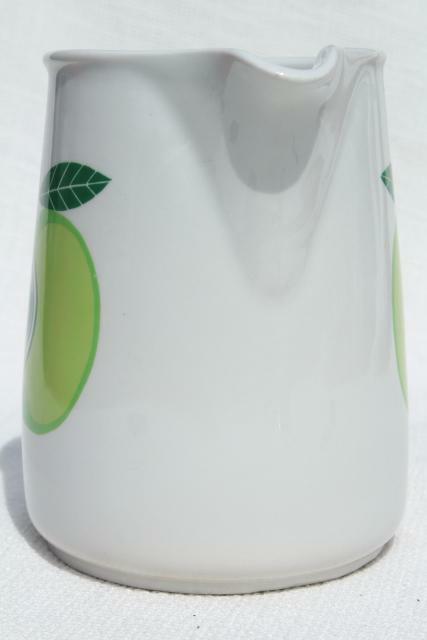 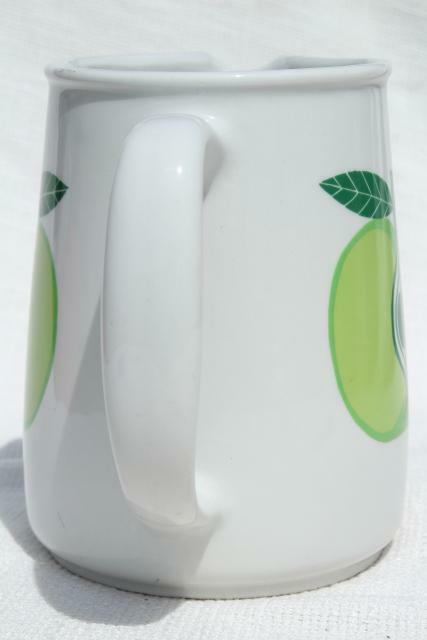 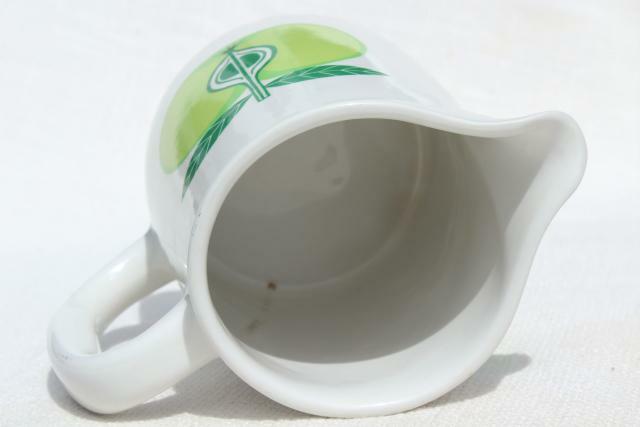 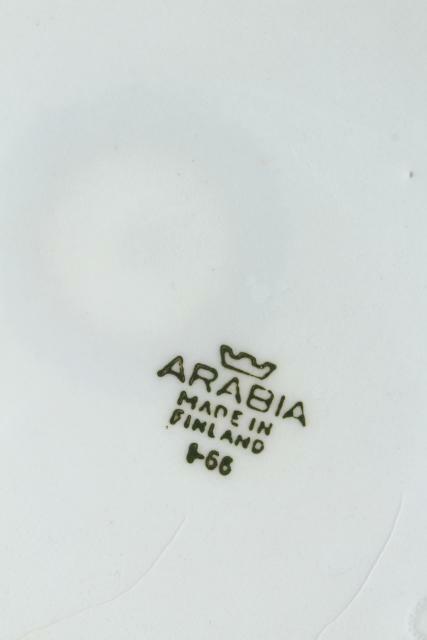 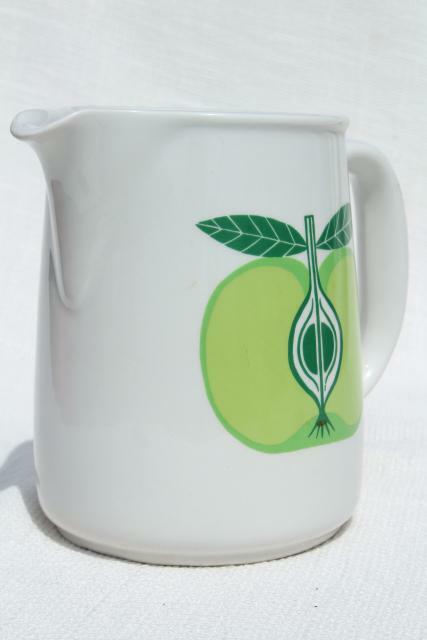 Vintage pitcher (about 6 1/4" tall) in the Raija Uosikknen Pomona pattern Arabia Finland. 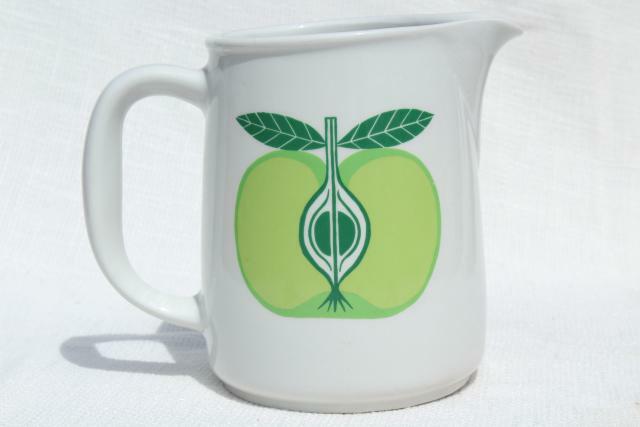 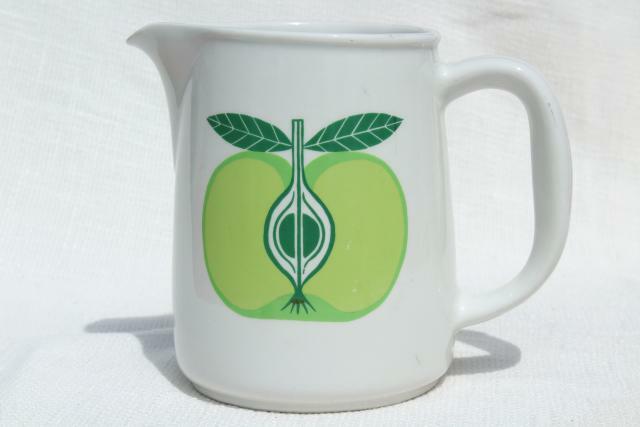 This is a mod green apple design, very retro! 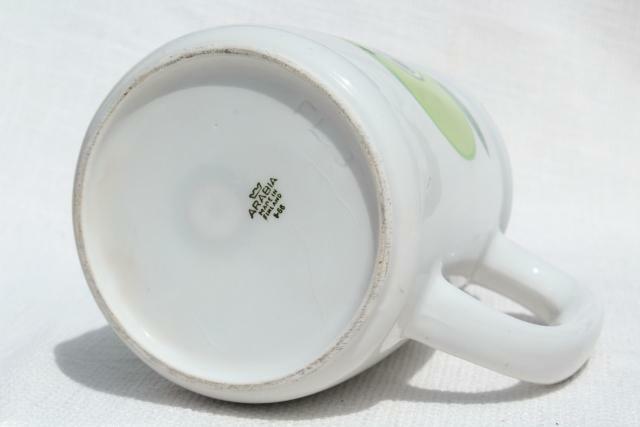 It's in very good clean condition without damage or any signs of use, just a little fine crazing.